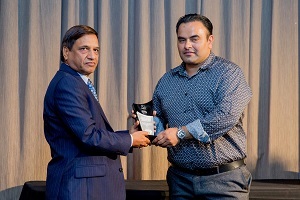 We have great pleasure in reporting about the achievements of the winners in various categories of the Indian Newslink Indian Sports Awards held at Alexandra Pak, Greenlane, Auckland on Wednesday, April 22, 2015. 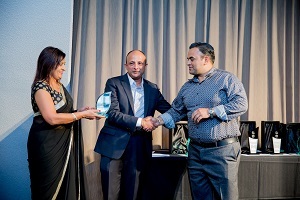 More than 200 guests including sponsors, nominees, finalists and winners in various categories attended the Fourth Annual event. 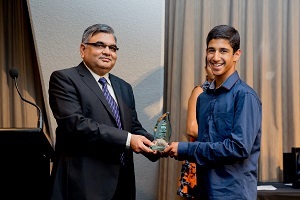 Arzan Todywalla, Best young male sports achiever and Under 20 Soccer Player of the Year: A talented Soccer player, Arzan has excelled at District, National and International levels. In 2014, he captained the Auckland Futsal Team and was named in the All Stars Team. 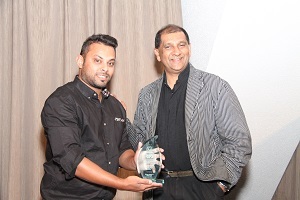 In September 2014, Arzan took part in the AIMS Games where he was selected, for the second year running, to the tournament team. 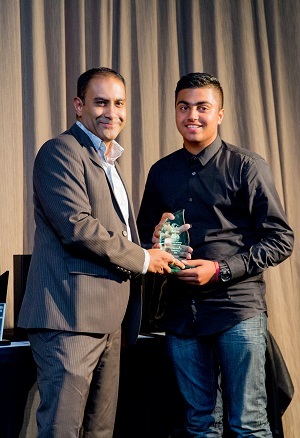 At the New Zealand Junior Football Cup, Arzan was awarded the Golden Boot. His passion for athletics also saw him create new records at school in Shot put and High Jump. 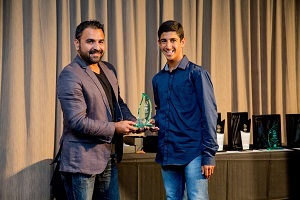 To cap off a splendid 2014, Arzan was awarded sportsman of the year at the Fencibles United Club and took out the Sportsman of the year award at his school. A Profile of the youngster, who was the only winner of two different Awards at our event this year, appears in this Section. 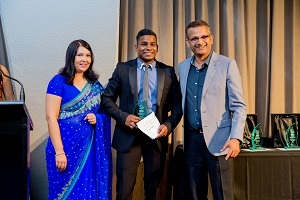 Avishak Kumar, Young Male Special Award: An enthusiastic and dedicated soccer player. Avishak attends Hamilton Boys High School and has played in a number of school and club teams, representing the Waikato Bay of Plenty since he was eight years old. 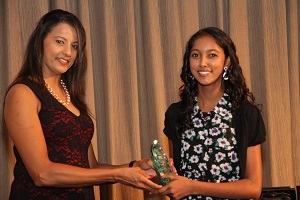 Mavini Mani: Youngest Excellence in Sport: The youngest entrant in this year’s Awards, Mavini is a quiet achiever in her chosen sport of Netball. 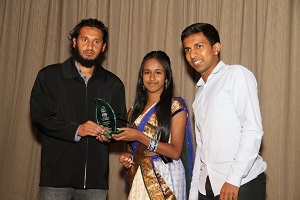 In 2014, she won the Waitakere Netball Association and Summer League representative Honours. Mavini is also an Auckland Fijian Community representative. 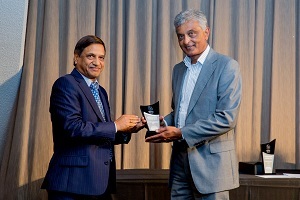 Ish Sodhi, Best Cricket Player and Sportsman of the Year: The judges described Ish as “a person who has brought immense honour to the Indian Community.” Ish was selected to the New Zealand Cricket Team for the three test series against Pakistan. In the first test, his 63 runs was a personal best and the best score for a number 10 Batsman in the New Zealand Cricket Team. 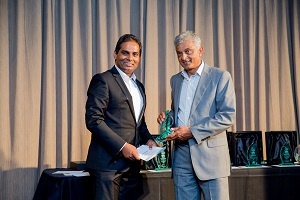 Neelkash Ram, Best Golf Player: A Fiji Representative for over 10 years, Neelkash is ranked among the top Five at the Grange Club. He is also four-time winner of the Club Championship in the Senior Division. 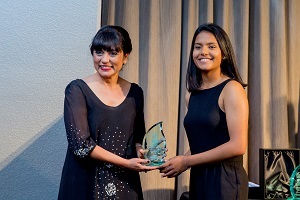 Chelcie Prasad, Best Netball Player: Chelcie was the Captain of the Auckland Fijian Community Netball Team that toured Fiji in 2014. Upon their return, the team finished second in the Pasifika Netball Tournament. A member of the Marist College Senior B team, Chelcie was awarded the Most Consistent Player for the team. Described by Livi Hide from the Auckland Fiji Community Netball as “an outstanding and committed netball player,” Chelcie has a bright future. 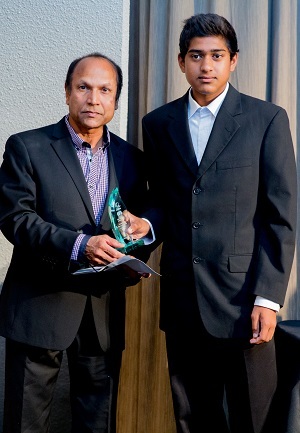 Ravinesh Narayan, Best Senior Soccer Player: 2014 was an extremely busy year for Ravinesh as he was the NZFFI All Stars Captain and won the 2014 Pacific Cup Golden Glove Award, the NZFFI Best Goal Keeper Award and the International Veterans Best Goal Keeper Award. His strong leadership qualities and decisive plays as a goalkeeper is an asset to every team with which he is involved. 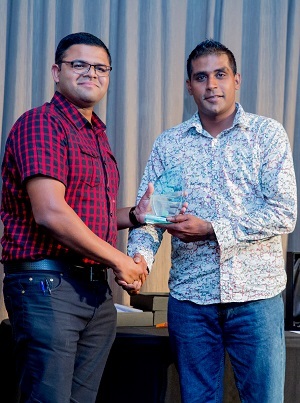 Sameer Ali, Best Veterans Soccer Player: Sameer’s achievements last year include the 2014 Veterans Tournament over 35 Division Most Valuable Player, FANCA over 35 New Zealand Player of the Year, AFF Most Valuable Player in the over 35 Division for Rewa as well as the Golden Boot Award for the over 35s team. 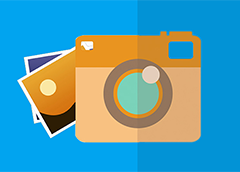 Indian Newslink congratulates all the winners and hopes that as they strive to do better this year, others would offer them a tougher competition next year!